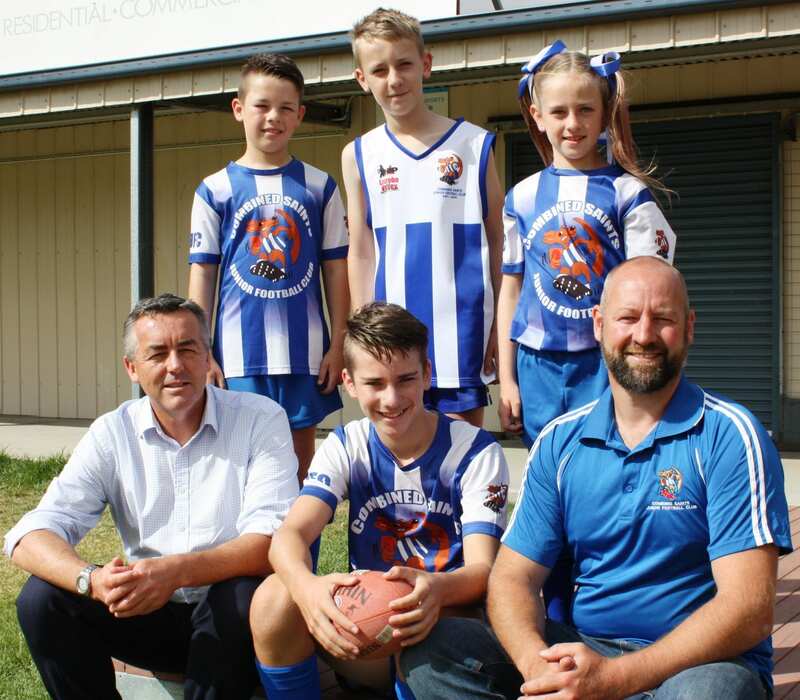 The Nationals Member for Gippsland is pictured with Combined Saints Junior Football Club players Archer, Chase, Melanie and Noah Stanistreet (front) and President Clint Stanistreet. Traralgon’s Combined Saints Junior Football Club will receive a much needed upgrade to its canteen thanks to a #lovegippsland Stronger Communities Program grant. Federal Member for Gippsland Darren Chester announced $5,000 from the Federal Government to upgrade club facilities, located off Grubb Avenue in Traralgon. “Local sporting clubs, run by volunteers, make an important contribution to community life and provide opportunities for young people in Gippsland,” Mr Chester said. Combined Saints Junior Football Club is continuing to grow and now requires a waiting list for junior footballers to join the ranks. The club has six junior teams ranging from under 8s to under 16s as well as an under 10s girls competition. Mr Chester said the funding would also benefit Gormandale Cricket Club, which accesses the facility during the summer months. The club is one of 20 across Gippsland to receive funding under the fourth round of the #lovegippsland Stronger Communities Program. A total of $600,000 has been shared across local sporting and community groups to upgrade community infrastructure since the program began in 2015.